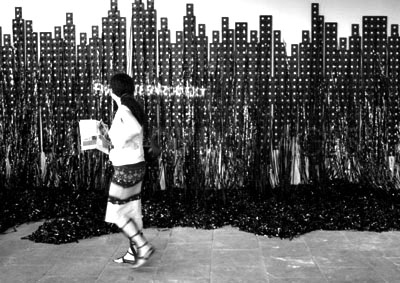 Launched in 2008 as a pilot project initiated by Rivka Saker, Shifra Shalit Intrator, Irit Sommer and Yudit Shapira Haviv, Art TLV 09 takes place as part of Tel Aviv’s Centennial Celebrations that include exhibitions, gallery openings, alternative art projects and open studio events throughout the city. This year’s events coincide with the Athens and Istanbul biennials and will take place henceforth every two years. The 100th Anniversary of Tel Aviv is the starting point for a festival that addresses visual representations of the Modern City. Works by 40 Israeli and international artists deal with myths, materials and concepts connected to Tel Aviv, the “White City,” the “Black City,” and the “non-stop city” that originally rose from the dunes. 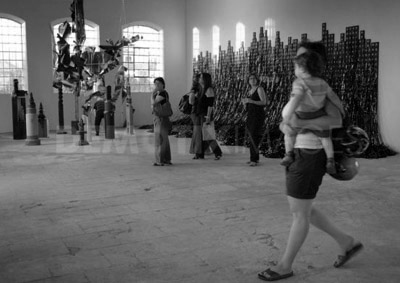 Artists represented include Sigalit Landau, Yael Bartana, Jan Tichy, Yochai Avrahami, Nira Pereg, Michal Ullman, Miri Segal, Francis Alys, Shahar Yahalom, Sharon Yaari, Sue Mei Tse, Carlos Garaicoa, Kader Attia, Allora e Calzadilla, Laurence Weiner, Smadar Dreyfus, Liron Rotman, Ann Liselgaard, Efrat Kedem, Fikret Atay, Michal Neeamn, Toony Navok, Aharon Ozeri and Grazia Toderi. 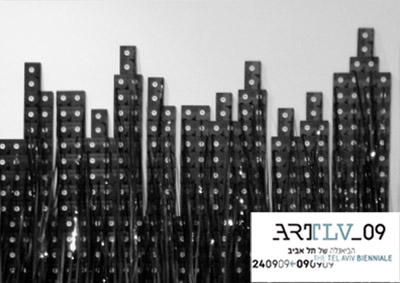 Art TLV’s main site is in a pre-Tel Aviv era Templar settlement that now sits alongside modern residential buildings. 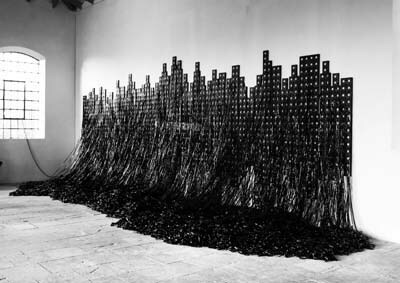 Curated by Edna Moshenson and Maayan Sheleff, the exhibition lies at the intersection of Tel Aviv’s first neighborhood called Neve Tzedek, the Arab city of Jaffa, and the industrial area Florentin. The exhibition uses this intersection as a starting point to explore urbanism and the different possibilities of a city. Next to the main exhibition is a show curated by artists guided by Said Abu Shakra, an artist and Director of Um el Fahem Gallery. An outdoor exhibition presented throughout the city (including the Avni Art School) curated by Michael Kessus Gedalyovich and Maayan Sheleff will show works that address ideas of mapping. Mushon Zer-Aviv & Lailah El-Haddad‘s “You’re Not Here” allow participants to virtually tour Gaza by walking through the streets of Tel Aviv with a double-sided map of both cities. Audio tours will also be available through a hotline with access numbers posted in the streets. Performance artist Adina Bar-On will present “Orientation,” a performance-based guided tour of the city in which groups come together and break apart, creating the content of the performance. Ilan Green will present a sonic installation using sounds and voices recorded in the historic Ahuzat Bait neighborhood. Eran Shakin will present a digital sculpture on Jerusalem Boulevard between Jaffa and Tel Aviv that will change according to the Sea’s tides. “Ex-Territory” is a project by Halas Online Radio and Maarav online art magazine dealing with questions of territory, personal and group identities, nationalism and globalization, and “legal and illegal” issues. The project will take place on a boat and broadcast via online radio and speakers on the city’s streets. On view at the Helena Rubinstein Pavilion (part of the Tel Aviv Museum) is a show of acquisitions curated by Ellen Ginton with works by Ohad Meromi, Tamy Ben-Tor, Nahum Tevet and Guy Ben-Ner.